How do I start a conversation on mental health with my kids? We encourage parents to bring their children for an oral exam as soon as their first tooth erupts. Regular visits to the dentist starting from a young age allows the children to become familiar with the environment of a dental clinic. This helps reduce anxiety for future visits and encourages good oral hygiene habits. 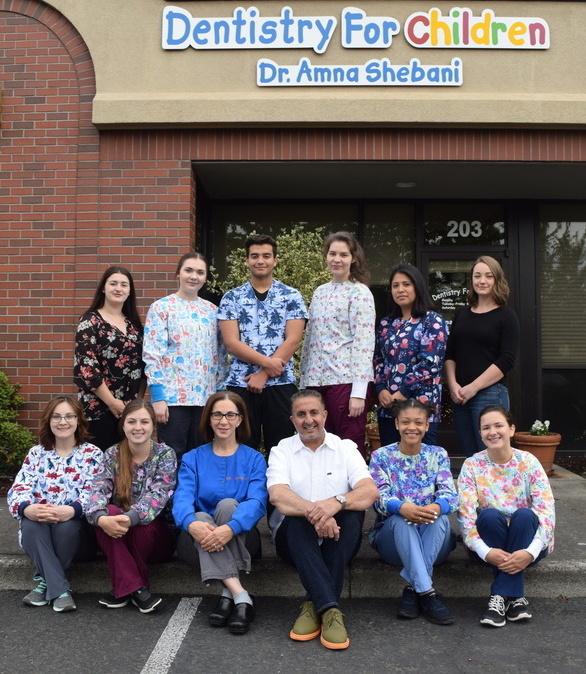 If you are looking for the best children's dentistry in Vancouver, WA and the surrounding area then Dentistry for Children is the right place for you! Have you ever seen a child look forward to visiting their dentist? We see it every day. Why? Take a look around our office on our virtual tour and you will see that we strive to make a visit to the dentist interesting and fun for kids. It starts the moment they come through the door. We understand that most children are apprehensive of dentists…even fearful. This is why Dr. Amna Shebani and her team dedicate themselves to making your child's visit as comfortable as possible. Pediatric dentists have an additional two years of training to acquaint themselves with the many areas of prevention and care that are unique to children? It's true. 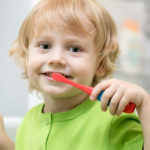 In addition to learning the most up-to-date treatment available for the wide variety of pediatric dental problems, they also discover how to manage various behaviors. That is why many parents wisely choose a pediatric dentist for their child's dental needs. Staff are the best! He has been treating for my daughter since she was 2 (she is now 16). His manner is professional, yet sensitive. He is receptive to each parent and child and always takes the time to converse with my daughter on a personal level. We will be sorry to leave when she ‘outgrows’ the practice. Dr. Shebani has worked on my son's mouth since we started at this practice 2.5 years ago is absolutely fabulous!!!!!!! The rest of the staff is always wonderful and friendly!!!! thanks ! It was great! My daughter was a little apprehensive to go to the "tooth doctor" but once she got inside and saw the train and how friendly and patient the staff was, she warmed up. It was like she was never apprehensive at all. She was so excited to check out the toy room too. Unbelievable experience. Not only is the office perfect for children in an amazing environment, Dr. Shebani is very patient and knowledgeable. My only criticism is that they don't accept adults as patients! ;) Looking forward to our next appointment already (yes, I just said that about a dentist). Dr. Shebani is so loving and soft spoken. My children adore her! She kindly takes the time to discuss any questions or concerns. The Toy Man makes each visit magical as well. I'm pretty sure not every parent has kids regularly ask if it is time to go to the dentist yet because they Want to go! If you are ready to join the Dentistry for Children family of satisfied pediatric dentistry patients, we invite you to contact our team to schedule your first appointment!